VP Records, the world’s largest reggae music company, has announced a year-long calendar of activities in celebration of its 40 years in the United States. For two generations, the Queens, N.Y.-based company has marketed Caribbean culture and island lifestyle through music, events and merchandise, and has been at the heart of reggae, dancehall and soca. The year of celebrations will feature a variety of music and cultural events, products, historical exhibits and experiences, in Jamaica, across the U.S., Toronto, Canada and London, England. “VP is integral to the history of reggae and dancehall music. We take this responsibility seriously and we are using our 40th anniversary to celebrate the music’s rich heritage as we steward the genre into the future,” said company president Randy Chin. From Dennis Brown, Barring­ton Levy, and Freddie McGregor to Sean Paul, Beenie Man, Lady Saw, and Tarrus Riley, VP Records has become home to some of the biggest acts in reggae music. The label’s current roster includes Alborosie, Jah Cure, Raging Fyah, Gyptian, Beres Hammond, Queen Ifrica, Ikaya, Jah9, Fay-Ann Lyons, Christopher Martin, Maxi Priest, Busy Signal, Spice, Romain Virgo, and Spiritual. The company kicked off its anniversary celebrations with a return to its homeland of Jamaica in January and will continue into the summer with a historical exhibit titled “A Reggae Music Journey,” at Donald Sangster airport in Montego Bay. The exhibition will move to Kingston’s Norman Manley International Airport in June 2019 through the end of the year. NNPA Newswire: How did the company get started and what or who inspired you? Chin: My parents, Vincent and Patricia, started the Jamaican chapter of the company after my father accumulated records that he changed out of jukeboxes around Jamaica. The owner of the jukeboxes had no use for the records, so my parents kept them, and then started selling them out of their ice cream parlor. They named the business ‘Randy’s” after the sponsor of an American radio program that was heard down there at the time. Obviously, that became my nickname too. They couldn’t have gotten into the Jamaican music business at a better time. They got in on the ground floor in every sense, because Jamaican music was about to become an international phenomenon, starting a few years later with Millie’s “My Boy Lollipop,” then Desmond Dekker’s “Israelites,” and of course Bob Marley and the Wailers, and the rest is history. In 1962, they moved from their first location to 17 North Parade, and records were becoming the central focus of the business. My father started producing music with a popular singer named Lord Creator and built a studio above the new shop, which became known as Randy's Studio 17. My brother Clive became involved in producing also, and many local independent producers such as Lee Scratch Perry rented the studio. This was right as reggae was born. Everyone recorded there, including Bob Marley, Gregory Isaacs, Dennis Brown, Burning Spear, Augustus Pablo, you name them. Reggae may not have been born at our studio, but it grew up there. NNPA Newswire: What were perhaps one or two of your biggest challenges getting things off the ground? Chin: One of the biggest challenges was that the business environment in Jamaica in the 70’s made it hard to get records to the international market. 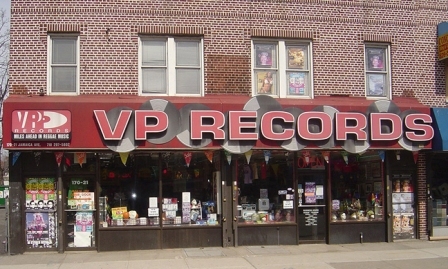 So, my parents decided to move from Jamaica to New York in the late 70s, which is how the VP Records chapter began. VP is their initials. It’s always been a challenge to get music that comes from Jamaica, from our culture in our way of speaking, patois, to translate to international ears and international tastes in a way that people can really relate. I think overall, it's impressive how well received our music is outside our small island, but we still have to be mindful of the music that is made for a local Jamaican audience and the music that can make it on the bigger stage. NNPA Newswire: Briefly tell us about a couple of your top artists, i.e., who they are and how did you land them for the company? Chin: From the VP chapter of the story, the top artists have been dancehall stars over the last 20 to 25 years like Sean Paul, Beenie Man, Lady Saw, and Bounty Killer, but the veteran reggae singers and emcees have been the foundation of the business, including Dennis Brown, Barrington Levy, Freddie McGregor, and Yellowman. Beres Hammond really stands out as well, because of the length of time he has been with the company. My brother Chris has been involved with the company his whole life, initially on the technical side of mastering records but also deciding about what music to release. 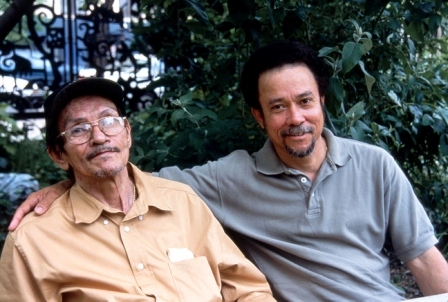 He and my mother built relationships with artists and producers over many decades. Relationships are a key to bringing in great artists. That extends to our whole A&R team. Some people are surprised to learn that one of our top artists is Alborosie, who was born in Italy but lived in Jamaica so long that he earned the respect of the local dancehall crowd. His music is popular all over the world. Our current roster includes Alborosie, Jah Cure, Raging Fyah, Gyptian, Beres Hammond, Queen Ifrica, Ikaya, Jah9, Fay-Ann Lyons, Christopher Martin, Busy Signal, Spice, Romain Virgo, and Spiritual. NNPA Newswire: What would you say was the company’s biggest hit and why do you believe it was such a hit? Chin: In 2002, we had a distribution agreement with Atlantic Records that was a key to Sean Paul’s breakthrough. His ‘Dutty Rock’ album sold 6 million copies and was loaded with hits like “Get Busy,” “Gimme The Light,” “Like Glue,” and others. We had Wayne Wonder at the same time with “No Letting Go,” which was also a big hit. With the distribution deal with Atlantic, VP Records was able to bridge the gap between working with a major mainstream label while still supporting Sean with the core foundation of the Jamaican community and its diaspora. Overall his sound was fresh and distinct and never confused with any of his peers at the time. He had his own identity, which is a key to making a hit. NNPA Newswire: What does the future hold for the company? Chin: We’re excited about the future. We want Jamaican music, in all its forms — past, present, and future — to continue to develop in new directions and have an international following. The streaming world makes that more of a reality than ever. We see it when we look at where our fans are. There is so much potential for streaming in developing markets that we just have to make sure we continue to put out quality music for the world to hear. We’re also very proud of where we’ve come from. It was a real boost when UNESCO recognized reggae as a cultural heritage asset last year. We want the Randy’s and VP story to always be included in the story of reggae and dancehall. We bought Greensleeves Records a decade ago and have a 25,000-song catalog that covers a lot of the history of reggae, dub, dancehall, and beyond. We continue to be interested in new developments and new musical forms that are related to reggae and dancehall, such as afro-beats and all the offshoots of dance and urban music around the world that trace right back to Jamaica. We’re open to the future and very proud of our past.